Beautiful, fully furnished western cabins are available to rent to enjoy during your stay at Lone Wolf Ranch. 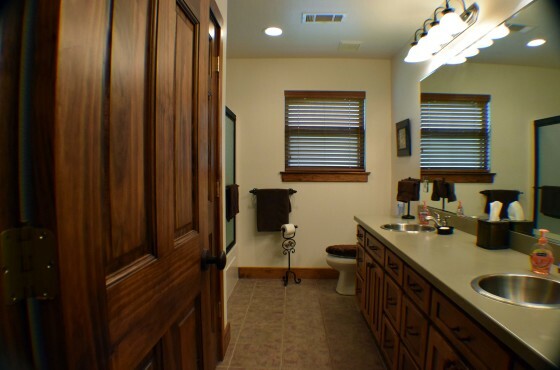 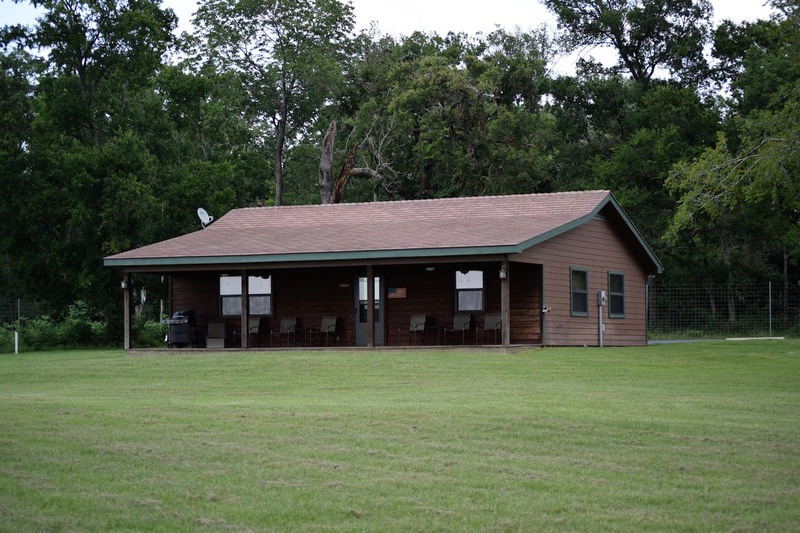 Cabins at Lone Wolf Ranch provide guests with the comfort of home while they enjoy life on the ranch. 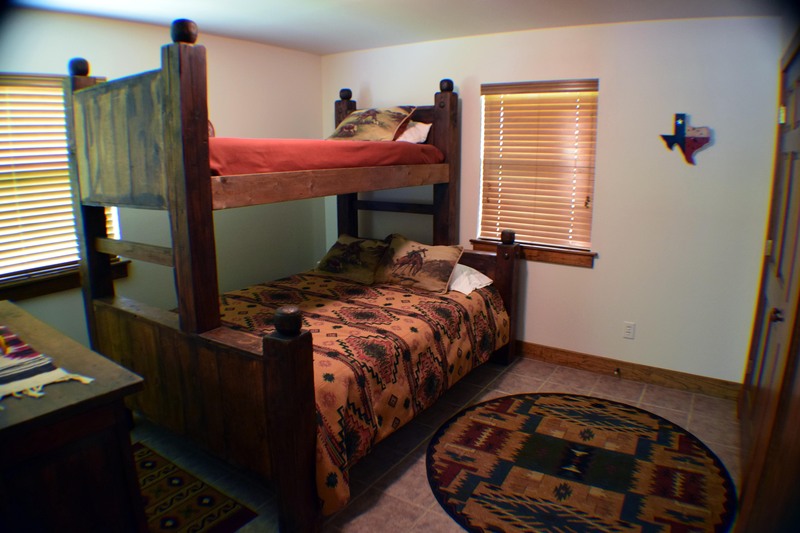 The cabins accommodate up to four people with two spacious bedrooms and one large bathroom. 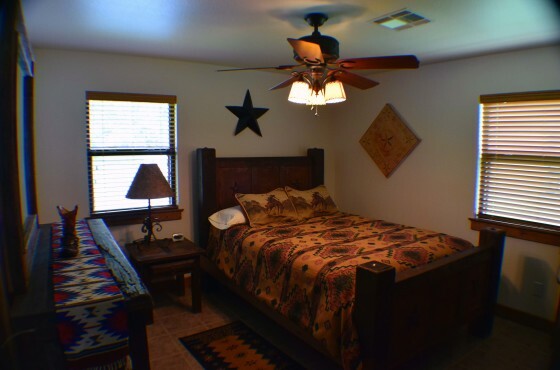 Each cabin is individually furnished in a rustic camp style, featuring luxurious bedding, Western textiles and antique furniture – all nestled into the natural surroundings of the Texas countryside. 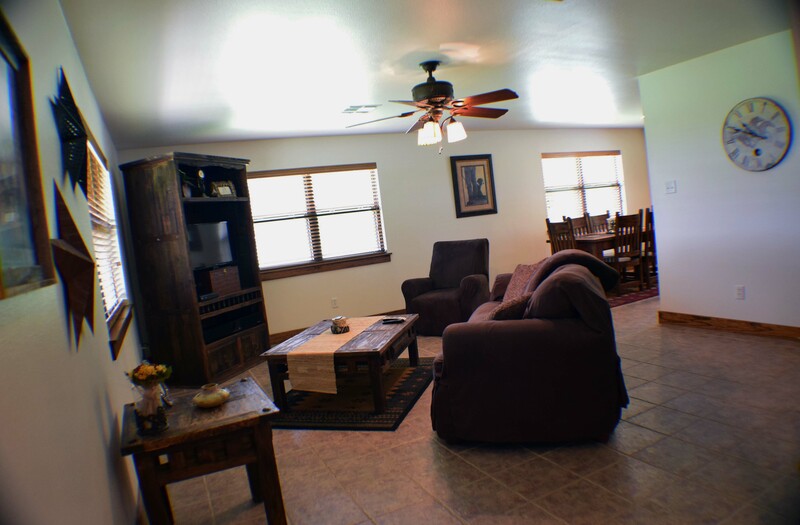 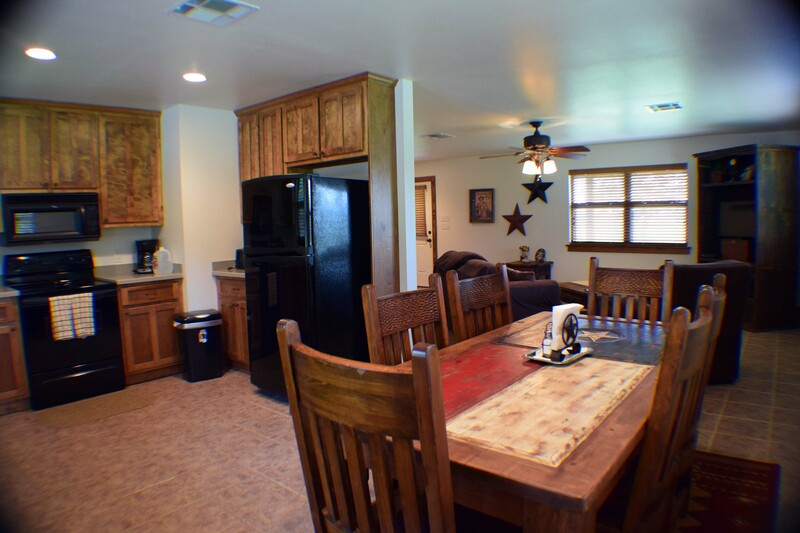 There is access to free Wi-Fi, Direct TV, a full kitchen, and outside BBQ grill. 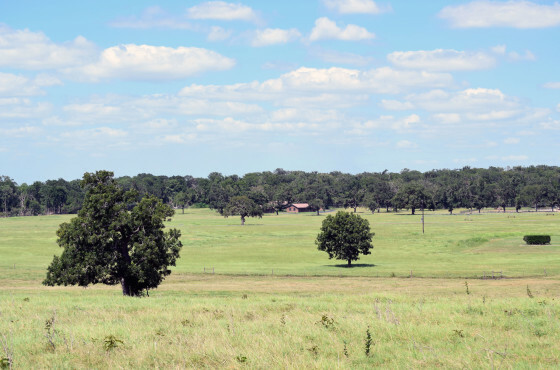 The campsite is conveniently located right outside the reserve, overlooking the Lone Wolf Ranch property.